Synopsis: The enchanting story of a boy who wouldn’t grow up and the girl he promised to always remember. 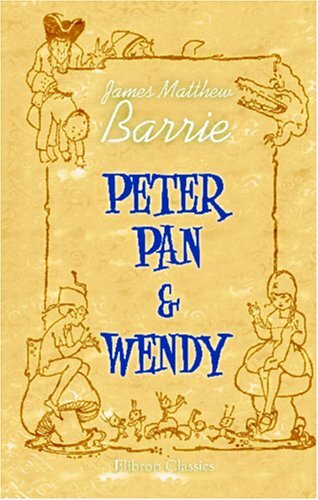 About the Author: Sir James Matthew Barrie, 1st Baronet, OM (9 May 1860 – 19 June 1937) was a Scottish author and dramatist, best remembered today as the creator of Peter Pan. Review: A delightful tale for the young and young at heart. Adapted and retold many times in film and other books, the story of Peter Pan is one that will live in our hearts forever. If you've enjoyed any of the adaptations, I highly encourage you to go back to the source and read the original.